Cinephilia is an incubator and frequent contributor to the development of filmmakers from the Middle East and Africa through its various initiatives that occupy the space between ideation and production. Launched in 2013, Cinephilia Screenwriting Lab for Shorts is a program designed to assist filmmakers in developing their storytelling potential, their criticism faculty and their technical proficiency. Our lab aims to develop original, visionary and daring voices in the art of screenwriting from the Middle East and North Africa. In a post-apocalyptic world, an old man and a young man escape from slavery to set themselves on a journey through the desert. The old man looks for truffles and the young man looks for gold. As the old man struggles with his new condition as a free man and is tempted to go back to slavery, the young man is convinced that their survival depends on them sticking together. The drag queen Sasha Warma presses Stefany, an Ethiopian domestic worker finally on a day off, to attend a ball honoring her idol Stephanie of Monaco. But Madame, Stefany's Beiruti employer, wants more chicken...and toothpaste. A citizen of France and Lebanon, Christophe is a proud Third Culture Kid who has lived in five countries and who enjoys his acute “identity-nitis.” A USC School of Cinematic Arts M.F.A graduate, he was an Annenberg Fellow and a recipient of the Do Thompson Scholarship in Cinematic Arts and the Jack Nicholson Scholarship in Directing. His previous short film "What to Bring to America" has played in various festivals, was sold to Italian television DIVA, and has won awards in the U.S. and Europe. 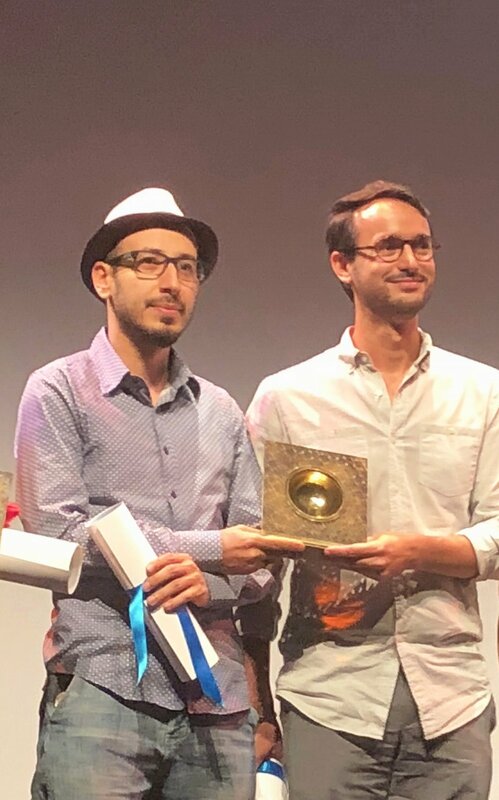 Recently, Christophe was a fellow at the 2017 Rawi Screenwriters Lab and at the 2018 Fondation Liban Cinéma Re-writing Workshop, where he won the BCP Prize. Hamid Saïdji earned his MFA in film from Columbia University (NY) and has created non-fiction and narrative media in Europe, North Africa, and the United States. In Algiers, Hamid founded Midafilms, which produced commercials and documentaries. He also directed the short NOT IN THE MOOD, which played at the International Mediterranean Festival, Tangiers. Hamid co-wrote HOURIA which won best short film at the International Arab World Film Festival, Oran. His latest film, “L’échappée,” co-directed with Jonathan Mason, has played at thirty festivals in twelve countries and is a recipient of the Canal+ Short Film Prize. The screenplay for the feature version of the film was selected for the Sundance Institute's Screenwriting Intensive in Philadelphia. Based in Philadelphia, Jonathan Mason earned his MFA from Columbia University, and served as Creative Director for New York’s Belladonna Productions (Cold in July, Dhuktar). His latest film, “L’échappée,” co-directed with Hamid Saïdji, has played at thirty festivals in twelve countries and is a recipient of the Canal+ Short Film Prize. The screenplay for the feature version of the film was selected for the Sundance Institute's Screenwriting Intensive in Philadelphia. Hocine, an illegal immigrant and aspiring photographer, lives with his wealthy French girlfriend in her hip Parisian loft. But after a pregnancy scare, she leaves without notice. Now without a roof, Hocine knocks at the door of the very refugee camp where he’d been volunteering. While they’ll guard him from a Europe that has turned its back, Hocine will soon realize that the refugees of the Schoolhouse no longer consider him one of theirs, either. Graduated with an MFA from the Red Sea Institute of Cinematic arts in 2012 and with a BA in Interior architecture in 2010, Hussen Ibraheem is a Berlin based young Lebanese filmmaker born in Beirut. His short films toured many international and local film festivals and participated in many film labs to develop his debut feature narrative film project entitled Tide. Currently working on a new short entitled (Sweet Disconnections) which is in post-production. On a bird hunt trip, a 15-year-old boy finds himself in a situation aiming his rifle between his tyrant father and his father’s friend who molested him as a child - Will pulling the trigger set him free? Mariam Mekiwi is a filmmaker and film editor working around existing genres/narratives and experimenting with performances on film. She completed her MFA in film at the Hochschule Für Bildende Künste in Hamburg (HfbK) in 2017. Her debut fiction film ‘Abl Ma Ansa’ premiered at the Berlinale’s Forum Expanded section in 2018. Synopsis " El Markebba El Omm"
After several tides of climate changes, comes an alternative world that is ruled from the mothership, by a woman who has a mythological existence. The mothership is solely inhabited by women and mixed gender military troops; one of which only consists of men who are of great help in matters of reproduction when the mothership needs an offspring. Most of the inhabitants of the mothership are young except the scientists in the science lab who perform very important scientific experiments. The most important project that they are working on from the science lab is a live action game with a limited usership that nurtures the feeling of being on the verge of disaster. From graphic design to news photography, Yassine El Idrissi explored different professions before becoming a storyteller in film. But the power of images was always the common denominator. El Idrissi worked several years as a successful photojournalist in national newspapers and international news agencies, until he found that to satisfy his urge to tell the stories, he needed the power of cinema. He took two years to produce his first documentary “Waiting for the Snow”. El Idrissi graduated from the Netherlands Film Academy in Amsterdam in 2013 with a Master degree. Honey and old cheese Yassine's latest short film was screened at Clermont Ferrand and the Rotterdam film festival. Zain Duraie has worked on several local and international productions in many different positions. She graduated from the Toronto Film School in 2009 where she wrote and directed two short films as a part of her graduation project. In 2010, Duraie began work as a trainee at Philistine Films with director Annemarie Jacir and producer Ossama Bawardi. Projects include When I Saw You where she worked from preproduction to post-production as well as several other productions including The Rendezvous and Thank You for Bombing. Philistine Films also produced Horizon, Duraie's debut film as an up and coming writer/director in her own right. Salam, is a young housewife who is quietly suffering within the codified Middle Eastern society while trying to help her husband Ammar to overcome his sexual dysfunction. One day, her mother in law finds another wife for Ammar and accuses Salam of being infertile. Ammar helplessly stirs Salam into a different direction leading her to fight this battle in her own way. Darine Hotait (Lab founder & mentor) is a New York based published writer and award-winning film director. Her films have screened at over a hundred international film festival and received a dozen Best Film Awards. Her work can be seen on SundanceTV, AMC Networks, BBC Channel, ShortsTV, IndieFlix and more. She was nominated for the prestigious Goethe Award and an EMMY Blu-Ribbon. She is the recipient of the New York State Council on the Arts Artist Grant, the New York Foundation For The Arts literary Fellowship, the AFAC Cinema Grant and the Roberto Cimetta Grant. She was selected in programs like Sundance Rawi Screenwriters' Lab and the International Scriptwriters' Maison Des Scenaristes at Cannes Film Festival. She is the founder & CEO of Cinephilia Productions in New York City - named top 5 creative incubator focusing on the Middle East and Africa. Aside from film, Darine is a published playwright and short story writer. Her work appeared or is forthcoming in various publications in print and online. She holds an MFA in screenwriting and film directing from the prestigious Art Center College of Design in Pasadena, California. She has mentored numerous screenwriting workshops at film festivals and institutions such as the Asian American Writers’ Workshop in New York, Med Film Festival in Rome, Arab Film festival in Rotterdam, Cinetopia Film Festival in Detroit, Mizna Literary Gathering in Minneapolis, Dubai international Writers’ Center in UAE among others. She has served as a jury on several short film competitions at international film festivals in New York, Sydney, Lebanon, Palestine and The Netherlands. 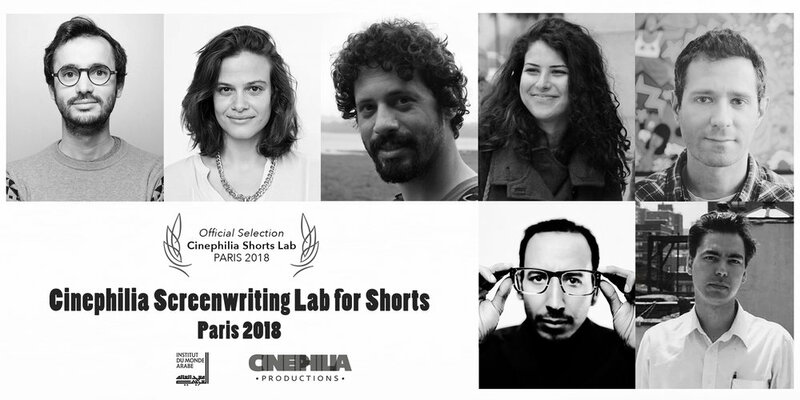 ABOUT JURY OF "BEST SCREENPLAY AWARD"
Didier Boujard is the creator of the Lab Meditalents which supports the scriptwriting development of first or a second feature films written by emerging filmmakers from the Mediterranean region. Since 2013, Meditalents have received a number of filmmakers from different nationalities. Many projects are currently in the production or the post production phase. These labs take place simultaneously in France (Marseille), in Morocco (Tangier, Ouarzazate), Algeria( Alger, Oran), Lebanon (Beirut) and in Egypt (Cairo). He was the former General Manager of emergence a program of film workshops organized by the « Université d’Eté Internationale du Cinéma ». He is the producer of many films like: « Du bleu jusqu’en Amérique » of Sarah Levy, « La confusion des genres » of Ilan Duran Cohen, « Le ventre de Juliette » of Martin Provost, « Toutes les filles sont folles » of Pascale Pouzadoux, and « No hay tierra sin dueno » of Sami Kafati. Before becoming a film producer, Boujard was the department head of the “Centre National du Cinéma". He equally played a big role in the Canal Cinema group and participated in the development of its cinema channels. He is the creator of Canal+ écriture and he co-developed eQuinoxe. Rima Samman is a Lebanese filmmaker. She holds a diploma in “Orthoptie” from the University of Pierre and Marie Curie, and a PHD in Arabic sociolinguistics from La Nouvelle Sorbonne University in Paris. She started working in the cinema industry next to renowned directors like Philippe Ramos, Eyal Sivan, Ziad Doueiri and Bruno Dumont, while equally developing her own projects. Her films were selected and awarded in numerous festivals around the world, and diffused on television channels like France3 and Arte. In 2009, she created Filigranes Films, her own film production company. This had an effect on her directing style. She turned to experimental cinema, where we see her writing style growing and her technique developing in order to define new ways of image representation in film.Her films are presented in festivals, museums and in cinemas. Rima Samman is not just a film director and producer, she is a lecturer on script writing, a member of the selection committee of several festivals like the Arab Film Awards and ACID Cannes 2014/2016, a teacher at INALCO and an Arabic coach for internationally awarded actors like Golshifteh Farahani and Tahar Rahim. She is currently developing two feature films « Dans le coeur une hirondelle » and « Tout sur mon père ». Sylvie Granotier was born in Algeria. She spent her childhood between France and Morocco. She studied Literature and Theater in Paris. She spent few years wondering from the United States to Brazil, via Afghanistan. She started working as a model and actress. In 1982, she met the writer Grace Paley while translating her book Enormous Changes at the Last Minute. This was the start of her writing career. Her first novel “Courrir Posthume” was published in 1989. She has twelve novels published, all which belongs to the “polar genre”. The book she wrote with Michèle Lesbre, that consisted a series of interviews with illegal immigrants in France, was an exception from her film writing style. Granotier is not just a novel writer, she is a script writer and an actress. She wrote and acted in many feature films which were selected and awarded in international film festivals. INSTITUT DU MONDE ARABE (IMA) / ARAB WORLD INSTITUTE was designed to create some strong and durable cultural ties while cultivating constructive dialogue between the Arab World, France, and Europe. 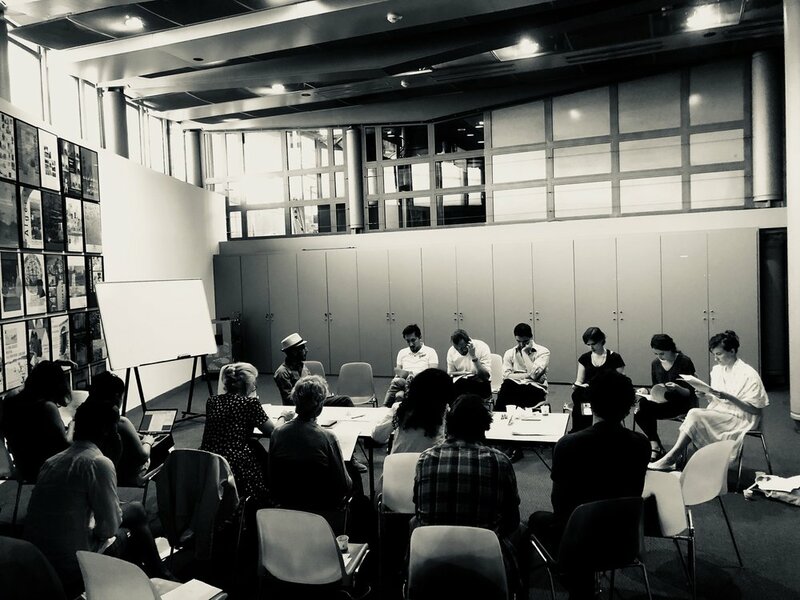 This cross-discipline space is the ideal place for the development of cultural projects, in collaboration with institutions, creators and thinkers from the Arab world. The Arab World Institute is fully anchored in the present. It aims to reflect the Arab world’s current dynamics. It intends to make a distinctive contribution to the institutional cultural landscape. No other organization in the world offers such a wide range of events in connection with the Arab world. Debates, colloquia, seminars, conferences, dance shows, concerts, films, books, meetings, language and culture courses, large exhibitions all participate in raising awareness of this unique and vibrant world. The Arab World Institute also aims to create partnerships with non-governmental organizations, schools, and other renowned European cultural institutions such as the Comédie Française, Bozar (Brussels), the Louvre, and Maison Européenne de la Photographie. Many projects are underway, including the opening of an “inclusive knowledge” university (subject to availability of funds), which will add to the contribution of the Arab World History Rendezvous (Rendez-vous de l’Histoire du monde arabe). In its 2018 edition, the festival will present numerous films in competition from the Arab world and diaspora, a tribute to Jean Chamoun and Mahmoud Zemmouri, a focus on Saudi Arabian cinema, a number of panels, networking events and special sessions.